Australia’s most successful theatrical export, Dein Perry’s Tap Dogs, has returned to South Africa for a strictly limited season, starting in Cape Town. The season started on August 22 at the Grand Arena, GrandWest, and will run until August 26, after which the production will move to Joburg’s Montecasino. The global dance sensation has appeared in over 330 cities, and 37 countries and 12 million people have now been dazzled by the energy and imagination of these unique performers. The production features high-energy dance, theatrical performance and live music performed by a cast of six dancers and two musicians who bring the steel works to life in a fast paced, unstoppable spectacular. 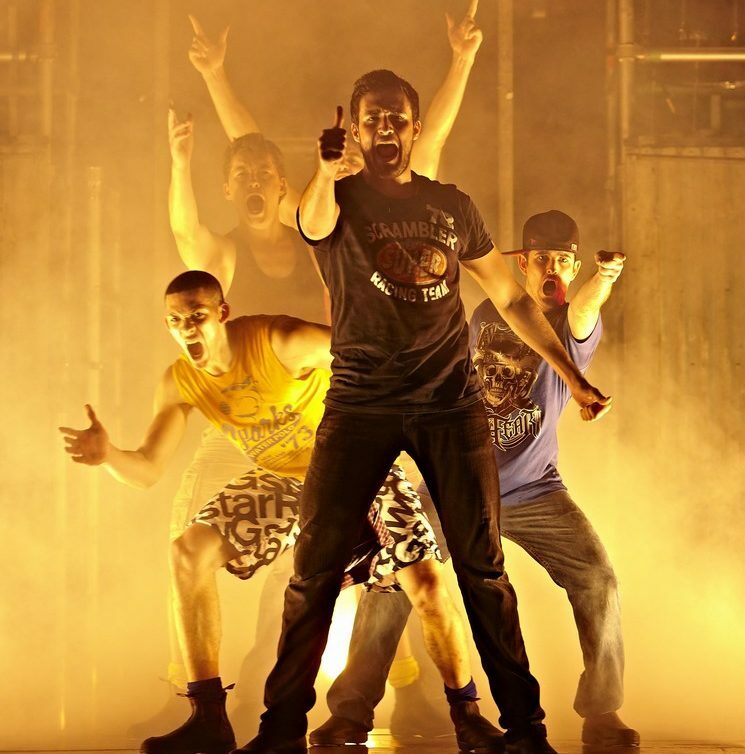 Tap Dogs is the winner of over 15 international awards including an Olivier Award (UK), an Obie Award (New York) and a Pegasus Award (Spoleto Festival in Italy), ‘Tap Dogs’ is a 75-minute show combining the strength and power of workmen with the precision and talent of tap dancing. Whether they are in water, upside-down or jumping through scaffolding, the ‘Tap Dogs’ have been performing to the beat of their own drum since their world premiere at the Sydney Theatre Festival in January 1995.